Our team match the enemy by creating a little critter magic of their own. New forces join them, and survivors add their weight to the fight, further changing what becomes possible. First contact is made, and believing they are running headlong into failure, Ark learns to take the lesser loss. Their alien enemy takes one more calculated risk that may prove to be the edge our team need to win the war. 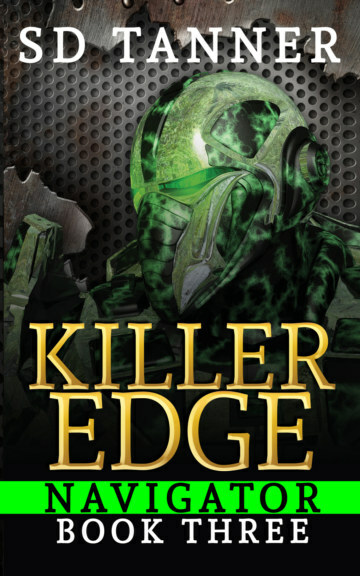 Killer Edge is the third book in the four-part Navigator series. It's a fast paced, action-based story following the people who will need to become a tight knit team if they are to defeat an enemy capable of taking over mankind.